Now that I am no longer writing this newsletter on behalf of a recognized organization (since IMOF Inc. is now officially dissolved as a non-profit organization), I realize that I can write it just as I feel led to! Thinking back over the years, I recall that it all started over 30 years ago when I wanted to somehow do my part to spread the Gospel around the world but at the time was “stuck” at home with small children and no money. In fact, the only traveling I did was once a week when we drove the 8 miles into town to buy groceries! I prayed for God to show me how I could be of use with so little, and soon after, a visiting missionary family happened to mention to us that they almost never received any personal letters even though they got regular support from several different churches and individuals. It suddenly became clear to me – I could write to them! And so it began – I wrote a personal letter of encouragement every month to that first missionary family, and not long after, God connected us with more….and more…and more! When I realized I was writing to over a dozen different missionaries, I had to start photocopying it as a newsletter! As God opened up more doors to help, He gave us the name International Missionary Outreach Fellowship, which so clearly described our vision. We made connections with other Christians all around the world, sharing encouragement from God’s Word, as well as personal testimonies of how God answers prayer and is faithful in our lives. He gradually led us onto the mission field and began to use us one-on-one with other believers. Then He gave us our foundational scripture, 2 Timothy 2:2: “And the things you have heard me say in the presence of many witnesses entrust to reliable people who will also be qualified to teach others.” As our own personal experience and faith grew as full-time missionaries, we also grew in our appreciation and respect for our brothers and sisters in Christ both at home in the USA and in the lands we ministered. We realized that as we each do our part and work together, God accomplishes great things! Through the development of TFO prison ministry and mentoring relationships with children’s ministries in many other countries, God has connected us with some truly awesome and faith-filled people – many of whom will probably never be recognized as such here on earth! Now it seems we have come full circle and I am back to writing a monthly letter of encouragement to dear friends that God has brought into my life all around the world. I am looking forward to sharing more about what God is doing personally in my life and ministry as well as sharing news from our friends in Africa, and I will also be gradually changing our website in the months ahead. There are several new writing projects I am working on, including one requested about a year ago by Pastor John Owusu in Ghana. As with most of my “friends”, we have never met in person, but became connected through a mutual friend in England many years ago during the days of TFO prison ministry. 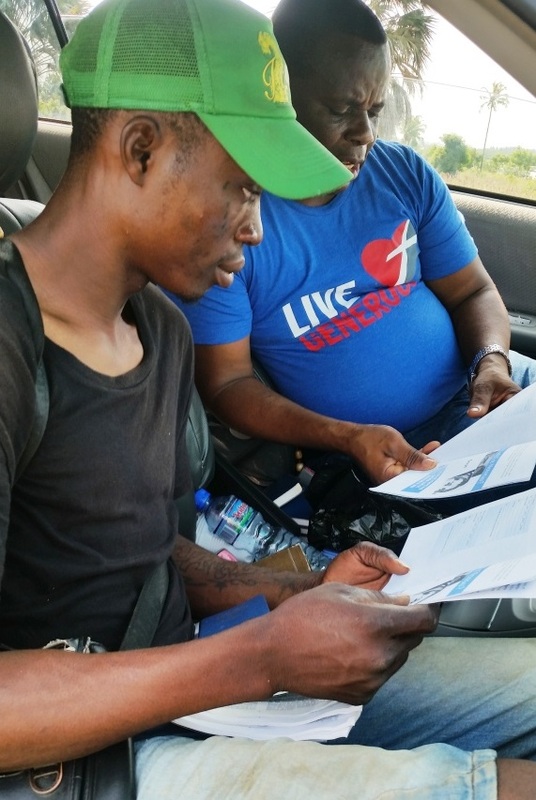 Pastor John received some of our printed children’s ministry materials, which he has continued to use as his ministry has developed, including organizing training seminars. He has given me a long-standing invitation to go and teach such a seminar there one day, but also asked me to compile a book of the many different bible games and activities that I have developed through the years. About a month ago, this project was completed and I was able to also share it with the children’s ministry at Real Life Wesleyan Church here in Maryland where Gerald and I now attend. Although it is not officially published or printed, I am making this book available as usual on our website in a format to be downloaded or printed directly from the website. I am also working on a new Promise Book with simple bible verses especially suitable for children. Pastor Honoré continues busy in C.A.R, as they make bricks to build the church walls. In addition they have just completed a week of door-to-door evangelism in the rural area around the village where the church is located on the outskirts of the capital. 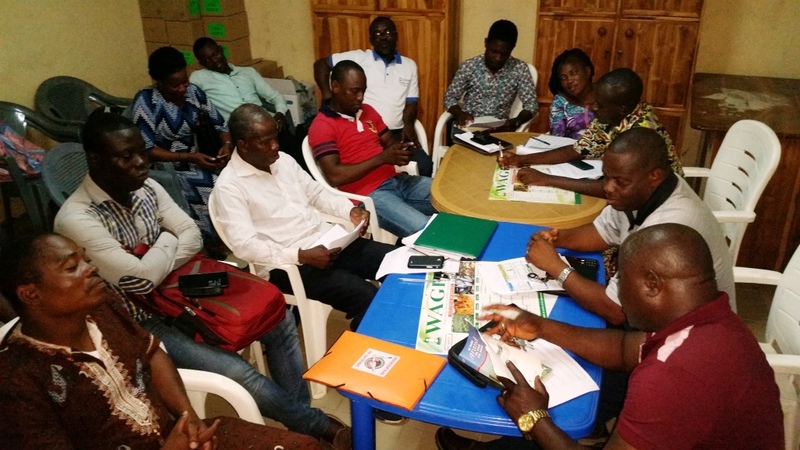 The new school and school for adult literacy are both doing well and reaching more and more people both with much-needed education and the Gospel. We pray that God will supply for the many needs as this church and ministry continue to grow, including with the feeding program. 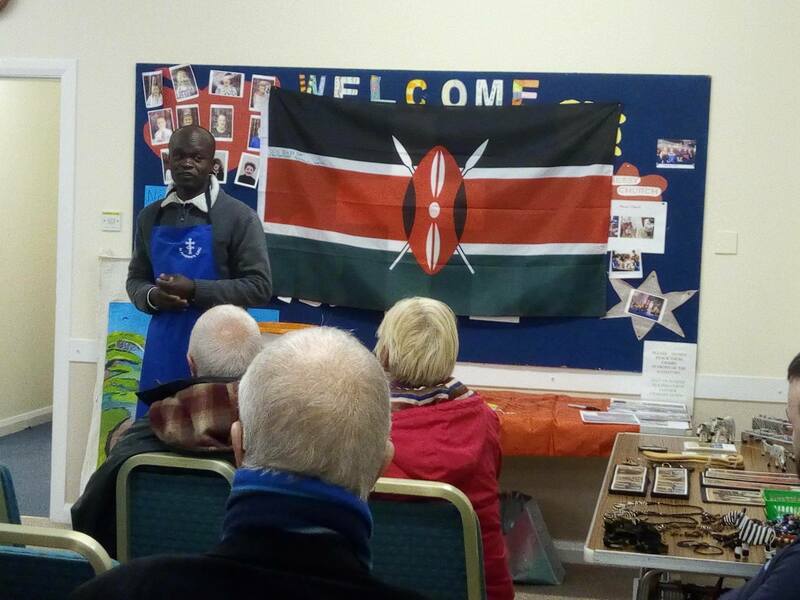 Mike is still in the UK until the end of this month, and has been doing a lot of traveling, visiting churches and groups in many different towns to share about the importance of children’s ministry, as well as what he is doing in Kenya. Here are some photos showing him in action – at work and play! We pray for his safe return home at the end of the month. Visiting a shop much bigger than Irene’s! 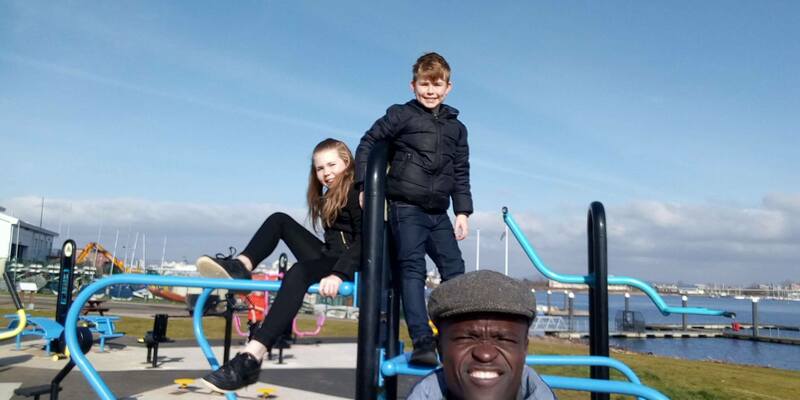 Playing with kids outdoors in the cold! 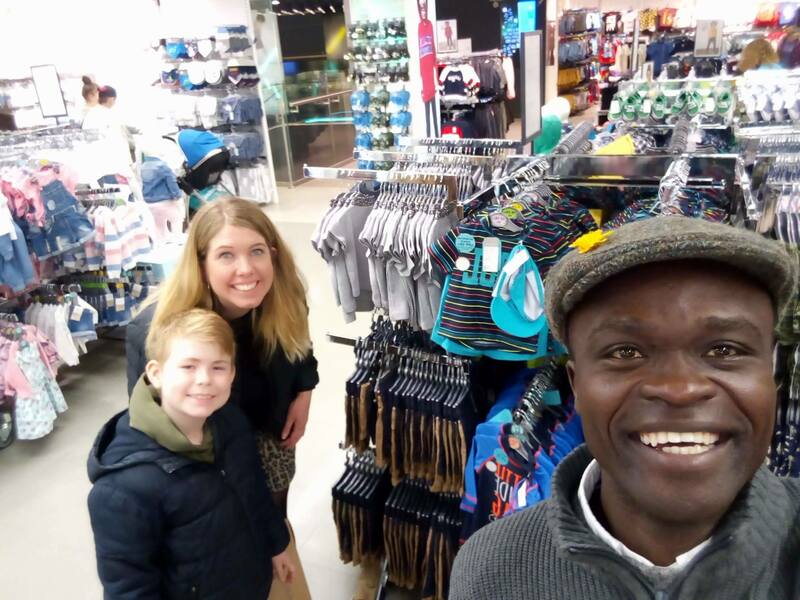 Pastor Sika has been occupied much of the past month with distribution of the Operation Christmas Child shoeboxes again, which is just part of a well-planned evangelistic outreach. The contacts that OCC brings in (school and church leaders etc) are encouraged to attend workshops on leadership. 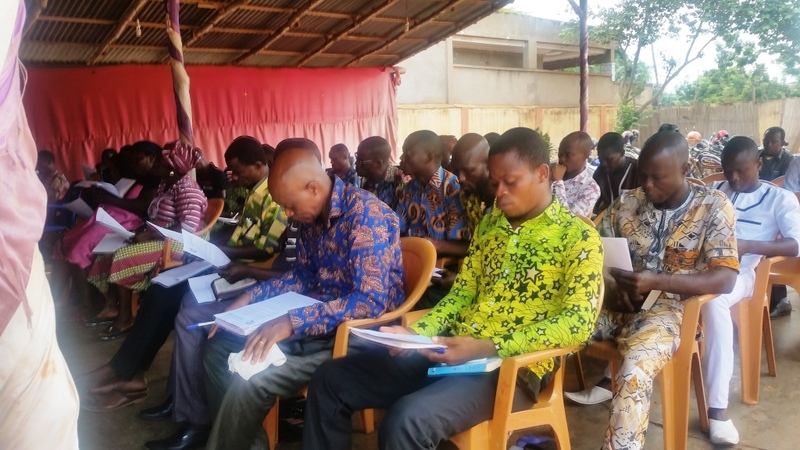 Pastor Sika takes this opportunity to also teach and train them regarding evangelistic outreach and discipleship. He recently taught a 5-day seminar as seen in these photos. Much time and effort is put into this so that the shoeboxes can be used as an effective evangelistic tool bringing the gospel to many. Pastor Sika also shared a great testimony about leading a man to accept Jesus near the village of Agbanakin (one of the really hard-core pagan villages Sika has been working in). The man sent Sika a text informing him that he had been influenced by his way of life and would like him to witness to him about what has changed his life. Pastor Sika had to rent a car to go see the man and after talking with him, the man accepted Jesus Christ! Please continue to pray that God will reach many others in those pagan villages through Pastor Sika’s ministry.